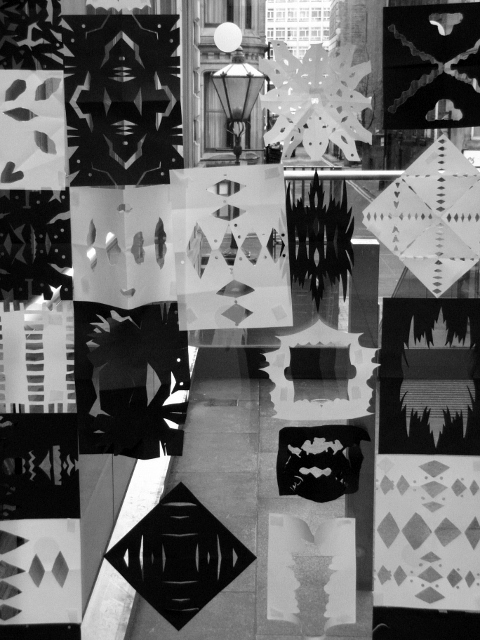 This weekend I worked with families taking inspiration from artist Andy Singleton's beautiful paper-cut icicle, currently suspended in the atrium at Manchester Art Gallery, as part of the 'First Cut' exhibition. 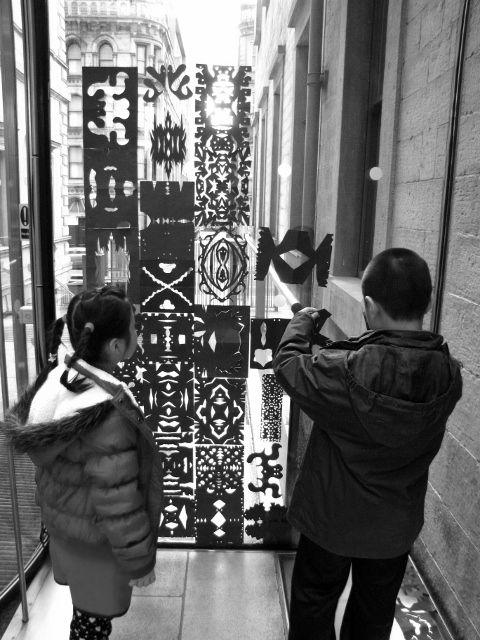 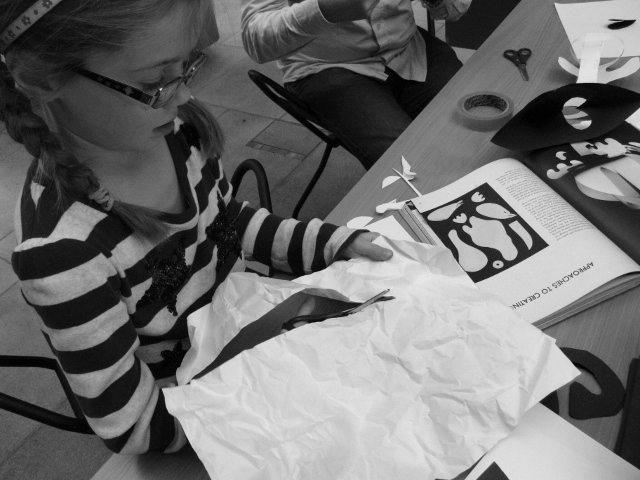 Families worked together in the atrium, focusing on shapes, patterns and forms inspired by the space and artwork around them. 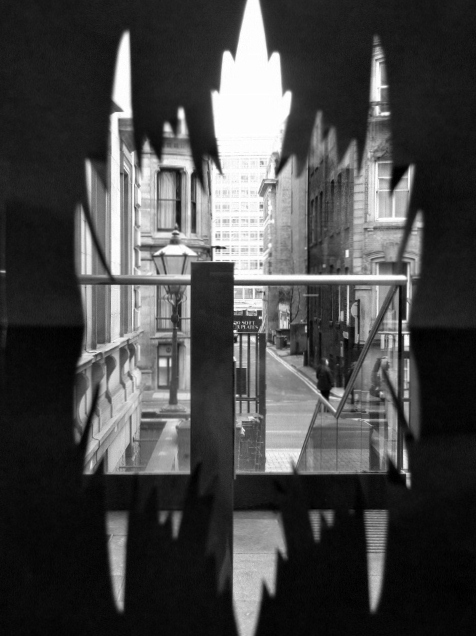 The display grew over the weekend to take over the windows of the atrium, creating an interesting way to frame viewpoints overlooking Princess Street.